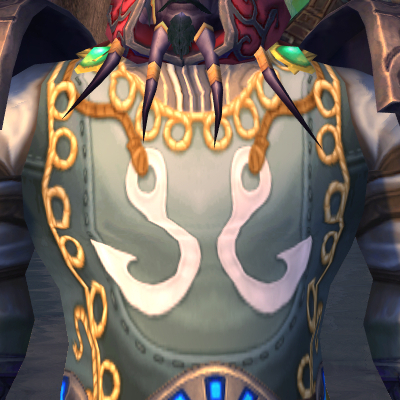 The Anglers are a faction of fishermen that you will find at the Anglers Wharf in the Krasarang Wilds. After reaching level 90, you will be able to increase your reputation with the Anglers through daily quests. The famous Nat Pagle is the leader of the Anglers. 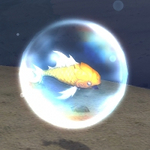 You will be able to increase your friendship with him (independently of your reputation with the Anglers), by turning in items (which can be fished and turned in from level 85 on). In this guide, we will detail the reputation/friendship grinding process and list the rewards you can obtain. Every day, you will be able to do 3 daily quests at the Anglers Wharf in the Krasarang Wilds. All these quest are related to fishing, although only a handful actually require you to fish. Each time you complete a daily quest of the Anglers, your fishing skill is increased by 1. Additionally, when fishing in Pandaria, you have a very small chance to obtain items that enable you to increase your friendship with Nat Pagle. Each of these items starts a daily quest, meaning that you can only turn a specific item once a day. Upon completion of the quest, you receive friendship with Nat and reputation with the Anglers. From the point of view of the reputation grind, doing the 3 daily quests at the Anglers Wharf will grant you 1,500 reputation every day. If you turn in the items for increasing your friendship with Nat Pagle, you will be able to earn 1,500 friendship and an additional 1,050 reputation with the Anglers (2,550 in total). All the quests in Soggy's Gamble in the Dread Wastes will increase your reputation with the Anglers when you complete them. As soon as you reach revered reputation with the Anglers, make sure to purchase the Grand Commendation of the Anglers from the faction quartermaster. Using this item will allow you to reach exalted reputation much faster. All the rewards are to be bought from Nat Pagle at the Anglers Wharf. After reaching friendly reputation with the Anglers, you will be able to buy Recipe: Krasarang Fritters and Recipe: Viseclaw Soup. Nat Pagle will sell you a number of items that increase your fishing skill in one way or another. Pandaren Fishing Pole, which requires honored reputation, is a fishing pole that costs 25 and increases your fishing skill by 10. Dragon Fishing Pole, which requires revered reputation, is a fishing pole that costs 500 and increases your fishing skill by 30. Sharpened Tuskarr Spear, which requires revered reputation, can be planted in the ground to improve the fishing skill of everyone within 15 yards by 15 for 2 minutes. It costs 1,500 . Anglers Fishing Raft, which requires revered reputation, enables you to travel on water and is a convenient replacement for Water Walking or Elixir of Water Walking. Nat's Fishing Journal, which requires revered reputation, costs 1,000 and can be sent to an alt. This alt can then use the item to increase its fishing skill by 50. Nat's Hat is one of the two rewards for reaching Best Friend with Nat Pagle. Equipping this hat, which costs 250 , will increase your fishing skill by 5 and using it will increase your fishing skill by 150 for 10 minutes. Nat's Fishing Chair is the other reward for reaching Best Friend with Nat Pagle. It will be sent to you by mail (credits to El's Extreme Anglin' for the information). After reaching exalted reputation, you can buy the Anglers Tabard, which costs 10 . After reaching honored reputation, you can buy the Tiny Goldfish, which costs 250 . 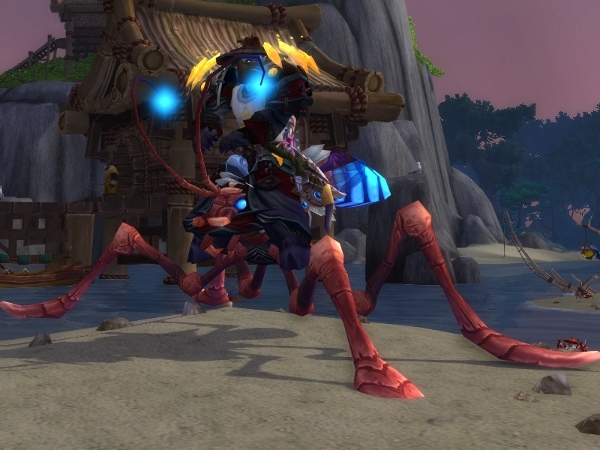 After reaching exalted reputation, you can buy the Reins of the Azure Water Strider, which cost 5,000 . Learning from the Best, for reaching Best Friend with Nat Pagle. Every day, you will be given 3 daily quests at the Anglers Wharf in the Krasarang Wilds. The quests are randomly chosen from 14 possible quests given by 7 NPCs. The table below gives you the list of quests that each NPC may give you. Fo Fook Viseclaw Soup and/or Piranha! Fisherman Haito Jagged Abalone and/or Shocking! Only a few of these daily quests can pose problems. The rest are very simple and reading the quest instructions should be more than enough. Jumping the Shark requires you to climb on the shark at the Anglers Wharf and kill it with your bare hands. Once on the shark, all you need to do is spam 1, use 2 when it is off cooldown, and press 3 when the shark is trying to throw you off its back. Like Bombing Fish In A Barrel requires you to kill 3 Sting Rays with the quest item provided. If you have issues using this item, you can simply kill the rays with your abilities and loot the items you need to complete the quest. Viseclaw Soup requires you to collect 16 Viseclaw Fisher Eyes. These eyes drop from Viseclaw Fries, Viseclaw Fisher, and Viseclaw Scuttlers. You will find these creatures on all the beaches of the Krasarang Wilds, and not just on the spots indicated by the map. There are 6 levels of friendship: Stranger, Pal, Buddy, Friend, Good Friend, and Best Friend. To progress through a level, you need to obtain 8,400 friendship (except for Best Friend, which will stop at 999/999, like exalted reputations). So you will need to gather 42,000 friendship with Nat Pagle before reaching Best Friend. Spinefish Alpha - El's Extreme Anglin'.